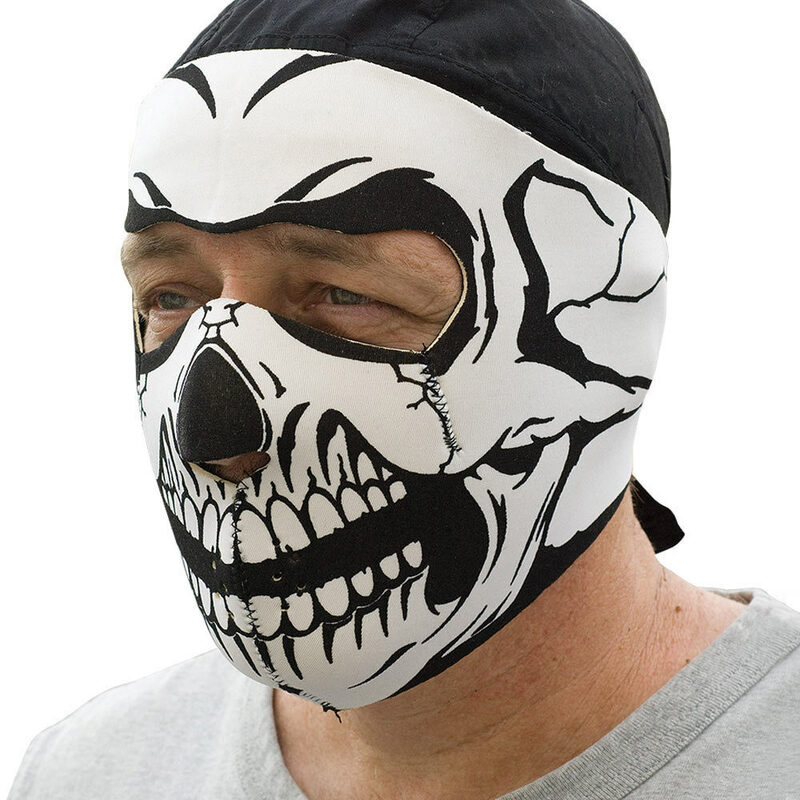 Outrun the cold with these neoprene face masks. Light weight, neoprene constructed with Velcro closure. One size fits most. Not a bad mask, had to make holes bigger for breathing (fogged up glasses) I sowed a bandana to the top so it stays in place, I get a lot of WTF looks. 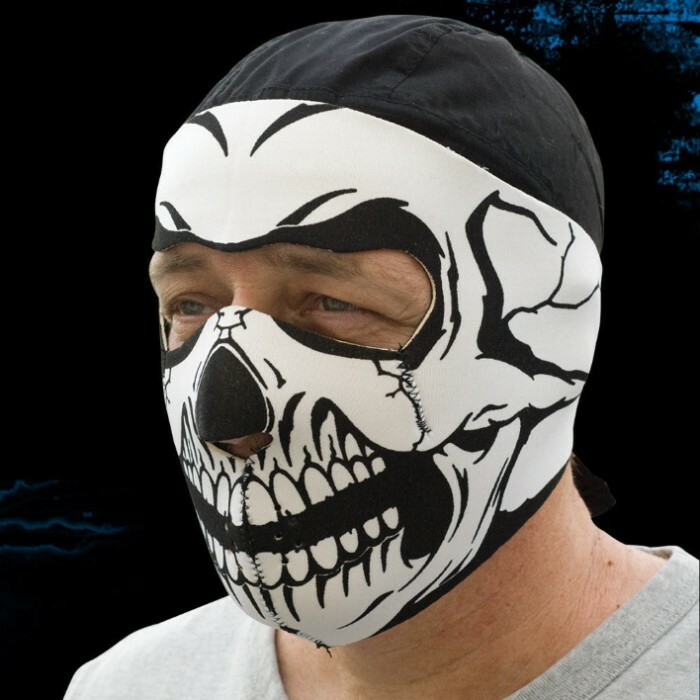 Bought two of these to use for Halloween, and I can make them work for that, but I'd never ride wearing one. They're sized for a small head (kids?) and the forehead of the mask keeps sliding down over my eyes -- not cool if you're on the road. If the jaw-seam was an inch or two lower, it would work. BTW, the picture makes it look as if this mask goes over the top of the head -- it doesn't. The head covering is a skullcap, sold separately.